This summer my husband and I took Andi kayaking for the first time. We started on a lake and recently had our first adventure on the river! Andi did not love the first voyage (she especially disliked her life jacket), but after a few more trips and time to get used to the life jacket, Andi loved it! We pack a favorite snack, sing songs, and spy cute animals along the way. Boating is a great way to spend the 4th of July with your family. Think safety first and plan a water adventure of your own! According to the U.S. Coast Guard, babies should not travel on boats (including rowboats, kayaks, and motorboats) until they are the appropriate weight to wear a life jacket. 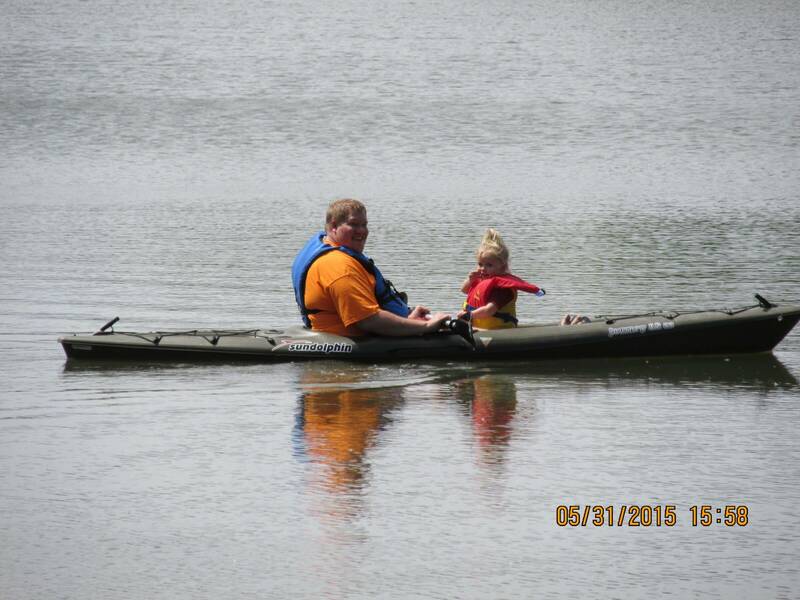 Children should ALWAYS wear life jackets approved by the U.S. Coast Guard while on boats or near open bodies of water. Water toys are fun, but do not rely on them for safety! Develop and enforce basic boat rules and make sure everyone follows them. Young kids are at higher risk for hypothermia, so make sure to take extra precautions to keep them warm. If your child is shivering, wrap him/her in a blanket or towel. Teach children the difference between open water and the swimming pool. Make sure they are aware of uneven surfaces, river currents and the unpredictability of rivers, lakes and oceans. Note: This resources provides great information from the Canadian Pediatric Society and Canadian Safety Regulations – you can also refer to the American Red Cross or the U.S. Coast Guard for more information.